="7.5" deep, 9.5" at sump area. Two 8-AN pick up fittings and one 6-AN vent/return fitting." 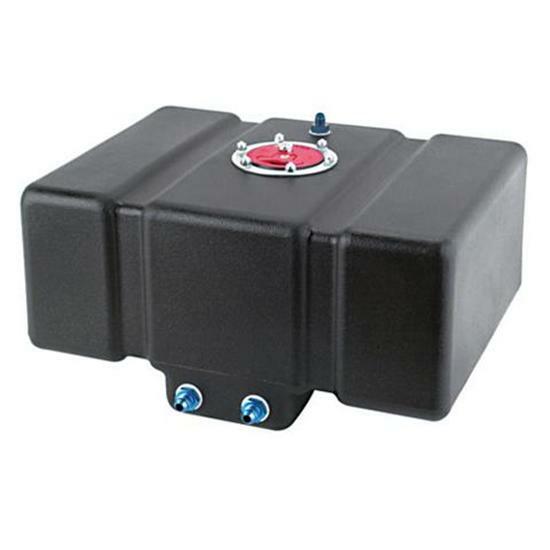 This bottom sump fuel cell is perfect for all race applications. 8 gallon capacity. Flush mounted aerospace type filler neck. Internal 2" sump with two AN 8 pick-up fittings. An auxiliary AN 6 vent or return line is on the top. Measures 20" long, 15" wide and 7-1/2" deep.